I'm taking the liberty of starting this sort of mini-game again to spread even more early holiday joy and fun. 1. 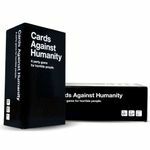 Take a look at my wishlist and add to this geeklist the game you would give and why. 2. The next person will look at the previous poster's wishlist and add the game they would pick and the reason to the geeklist. To make sure the list doesn't overlap. 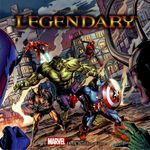 You can reserve your spot on the geeklist by adding a dummy item and mentioning who you will be gifting, while you look at their wishlist. Then come bask and change the entry. If you see that somehow you got skipped, just add an entry for the next person in line and you'll be back in the game. This is my game for you, Luis. Awesome, overlooked game that you'll love seeing as you seem to like WP games. If you were in the US, we would also get you Yedo as it's awesome and GORGEOUS. Caverna: The Cave Farmers would be an all-too-obvious pick for you, Edward and Amanda, but I noticed 2 de Mayo on your list as well. What a fun little gem! 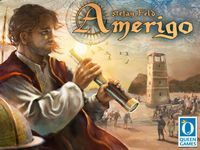 That is the game that I'd get for you, plus several of the promos/small expansions (like the Le Havre cards, the Castles of Burgundy mini-expansion, etc) on your list. From your (imaginary) Secret Santa! 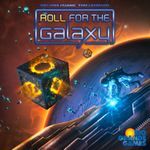 Brian, I'm the type that likes to get a lot of smaller games for my giftee, so besides Roll for the Galaxy, which I am sure you'd love I'd also pick up Coup, Cheaty Mages! and Rampage to round out the list. Zach, I took a look at your wish list and i saw you wanted android net runner. 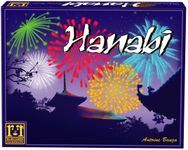 I find this game really fun and it is one of my husband's favorite games. I also noticed in your list that you had lost your Go board and stones, i would also try to pick up a copy of that for you as well since you mentioned this was something you used to enjoy. Caysi, you have a lot of nice games to choose from, but this one would be my choice, maybe because it's also in my wishlist Anyway, I would also find out more information about you and send you something from my country too as a small personal gift. I would also ask you which version of Pandemic you own. If you have the original printing I would send a replacement set of cards your way so you would be ready for in the lab. Just to confuse you, I would have my friend send the gifts from Moscow when he visits in December. Other options would include War of the Ring or OGRE: designers edition. Good games to have extra copies of lying around, huh? You really should grab an OGRE now, if you can, though. Places have 'em under 60 bucks. I plan on selling them for a fair bit more than that in the future. Oooh, you're a good one. I never know anything about wargames, so I'd be shooting in the dark... but I've had 3 wargame loving targets in the past, so I'm a BIT more informed now. Plus, you're in the USA and I budgeted for international, so I could have a lot of fun. Axis & Allies Pacific 1940, assuming it isn't harder to get than I think. Then I'd try to figure out what the hell those MtG decks are and make some of that happen, too. And you'd be getting goodies that aren't games, but I can't tell you what they are. Benji, you would get a copy of Tammany Hall from me, because it is a fantastic game, and if you don't get it soon, it may be gone for a long time. I'd also throw in a copy of Dixit, because I'm a big fan of playing games with the family, and you need something to relax with after a round of Tammany. You appear to go for games with a fair amount of depth, but not overly complex. Based on that criterion (and in keeping with the Western theme), I would also send Homesteaders. I might also be tempted to send Agricola: All Creatures Big and Small, London (first edition) or Rialto as excellent examples of less complex games from master designers which both my spouse and I have enjoyed together. All these games play well with 2players. I even wrote 2player reviews for Carson City and Homesteaders here on the Geek. I would not get you Tzolk'in: The Mayan Calendar, as seemed less like a game and more like an exercise in solving a series of simultaneous linear equations to me. Merry Christmas to you and your family, Mr Blue. In lieu of games, here's some GeekGold. 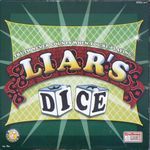 If I were your Secret Santa, I would definetly get you Liars dice, among something else! This game is a lot of fun, it is quick, and can be played by six players. There are a lot of variant rules. It is a great filler and always makes a good laugh. Total success in my gaming group! Glaucio, If you were my target I would most likely get you Brass. This is based on what games you have and enjoy. This seems like a game you would fit that bill. 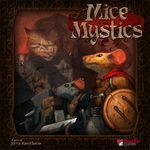 Based on your ratings and comments, and other comments I have read on the Geek, I think you and your family would love Mice and Mystics. Depending on the deal I could get, I might also throw in Forbidden Desert, as it is in the same vein as Pandemic, also a great family style game. I don't think it would hurt to put a small comment for your wishlist items. Some were easy to figure out based on your owned game ratings, but other, potentially amazing games, I overlooked. and some cookies, along with a few other little things. Hope that would make your holidays happy. Yours was a tough one. Id have to say after pouring over your wishlist and reading your letter. Id lean towards getting you Mageknight. Mostly becuase its a game that seems like it would fit with all of your play groups. 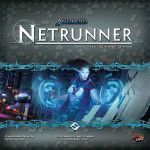 Its relatively family friendly (moreso than zombicide at least). and can be played solo, or up to a small group. Id probably also throw in Get Bit! for you and the kids, something with a note saying "wait til xmas to open this one." While I have not played any Hex & Counter war games, I too find them appealing and would like to learn to play them. Unfortunately, I stink at military tactics, so for me, I'm sure it would be enjoyable, but short lived. I would send you Hammer of the Scots, mainly because its the highest ranked one of the choices I picked for you. That must mean something, right? Of course, as I usually taunt my SS Targets, I would make you set it up and play it with someone (with photo). When you posted the photo, I'd throw in a copy of love letter (maybe even customized cards). If your opponent was your wife, I'd also send you a copy of Formula D.
It would probably depend a little bit on if I could get you a reasonably priced copy but I agree with your comment about this game looking fantastic! The game play itself seems interesting and from what I have read it could be playable both in your game group and with your family, given that your boys are older. because it's simply a excellent filler for a smart group to start evenings off with. David, if I were your Santa, I would definitely give you a copy of Concordia, since it's the #1 game on your wishlist and it's on stock at a Canadian OLGS. Since this seems to be an excellent addition to your collection and a game which is also on my radar. PS: I have Machi Koro high on my wishlist too. Good luck to us getting this game on this SS. I hesitate... My first idea was to give you Tzol'kin and then factoring your shipping charges, maybe the new Dixit Origins or the ticket to ride expansion you wanted. OK, Gil - what are you doing stealing my Wishlist!! If I were a rich man, I'd gladly give you Caverna: The Cave Farmers. Since I'm not, and since it's a game I also excited to be getting, I'll give you Russian Railroads instead. Then I'll play my copy, and you can play yours, and we'll share session reports! I'd probably also throw in Sail to India as I just got (and played) this, and for such a small box, there is a LOT of game here! If LennyS was my victim target, I would give him my used copy of Vikings. Larry, this list is all about spreading joy and happiness so, in spite of you being a Colts fan, I'm gifting you a copy of Terra Mystica! Tim, after much consideration if you were my target i would get you Eldritch Horror as you seem to be loving Arkham Horror right now and this seems to be the new hotness, and Power Grid: Australia & Indian Subcontinent as you seem to like Power Grid and who doesn't need all of the expansions!